Large slush cups - 16oz (455ml). 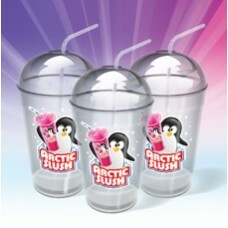 Clear with Arctic Slush branding. Lids and spoon straws also available.